Calculates a lease or loan with an interface that is easy to understand. Lease Calc Pro can be used by the novice buyer or by a leasingloan professional. 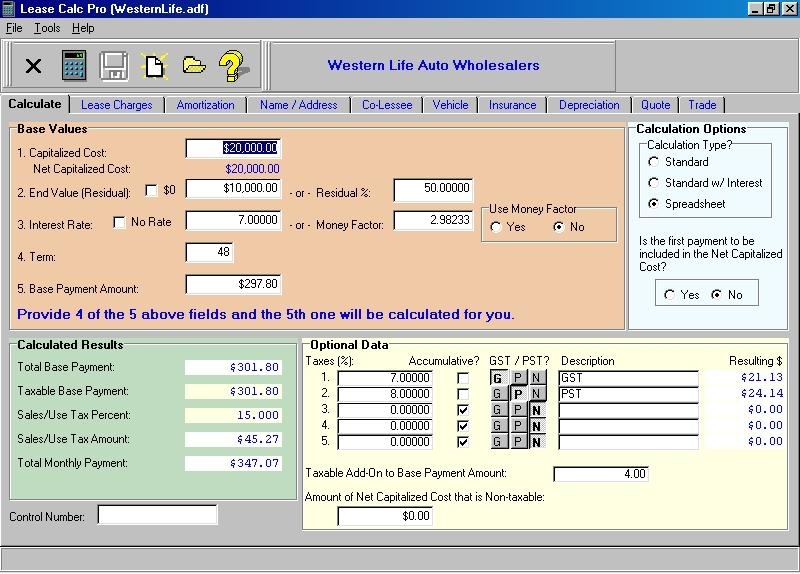 Collects information on: calculation fields name address insurance and vehicle. Produces reports for amortization and depreciation. Data files are saved in a format that can easily be imported into the ALMSys Lease Management software (see www.almsysinc.com). 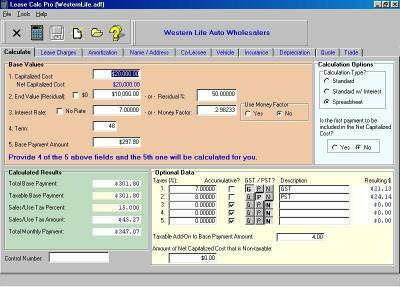 The software produces quotes payment schedules and amortization schedules. Headings for these reports are customizable. Expanded numeric fields in calcs added GST & PST defaults to preferences revised quote to include total cap. cost and . cap. adjustments.